This September at Mobile in Clinical Trials 2018 conference we are releasing the new version of our “do-it-yourself” app building platform Appbakery. This year Dr. Khan will share the story behind the genesis of Appbakery and its journey to version 2.0. He will share how Appbakery helped several researchers use mobile technology via an easy to use platform to collect data for their Clinical Trials. Researchers can make various kinds of surveys based on their study plan with dropdowns, checkboxes, images, scale questions etc. and extend data collection to audio and video files as well in addition to choosing standard surveys available. They can also record activity data by integrating their app with sensors/wearables like Fitbit, Misfit etc. or phone sensors such as GPS or barometer. In addition, Appbakery also provides online app promotions as well as customizations where the researchers can co-ordinate with our creative team to make their unique app logo, as well as a web page for the study app. Appbakery Version 1.0 saw the release of the first app made on the platform. The app titled GetOutside! is a LIVE study by research team at the Medical College of Wisconsin and the app is compatible with both Android and iOS platforms. 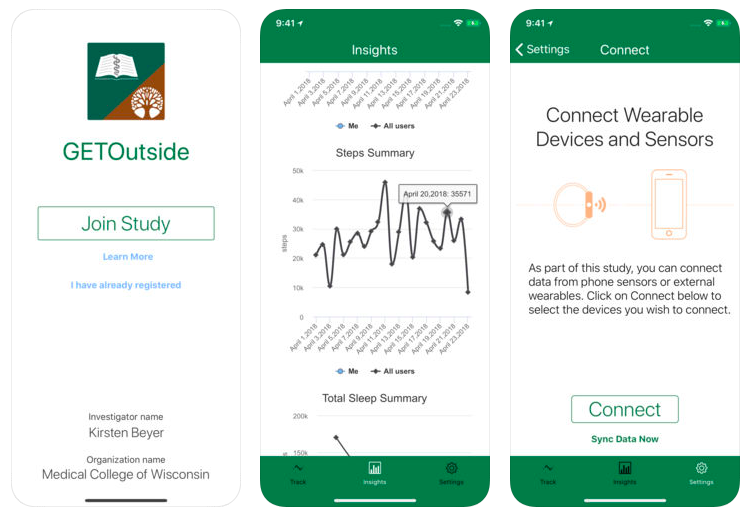 GETOutside, short for Green Environment Time Outside, is a mobile application for researching time spent outside and impacts on health. In the coming up version Appbakery 2.0, we have provided several useful features. For example, researchers will now have an option of choosing from 2 different templates: The Research Kit Template and The Clinical Trial template. Using Clinical Trial template, researches can easily track and edit visit schedules of the participants of their study. This feature will make it easy for researchers to communicate the daily requirements of the study easily and in a timely manner, as and when required. Moreover, the researchers will now be able to contact their study participants using one-on-one messaging. This feature was in high demand during our conversation with study teams across universities and we have added it in Version 2.0. Using this feature, the participant will be able to send a message to research team via the app and vice versa making one-to one communication and feedback possible. Using the internationalization feature enabled in the latest version, researchers will be able to engage participants form a larger pool of patients from diverse backgrounds who use different languages. Appbkery 2.0 supports supports 25 languages as of now. 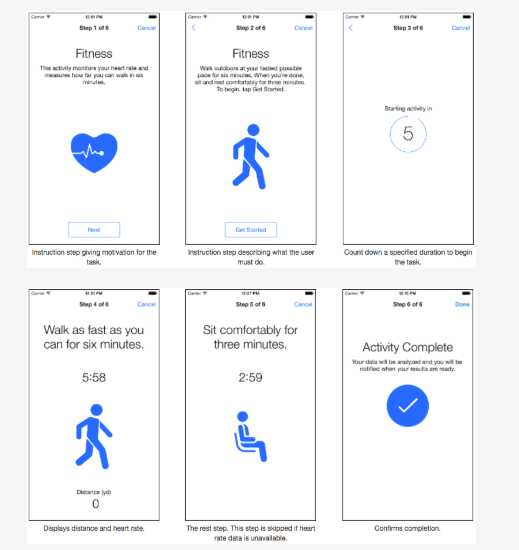 Appbakery supports all the 14 active tasks available on Researchkit, such as: Fitness, Gait and balance, Hand dexterity, Range of Motion, Reaction time and so on. TrialX uses ResearchDroid to make the active tasks available on android systems as well. Dr Sharib Khan will be demoing this and more during the conference. 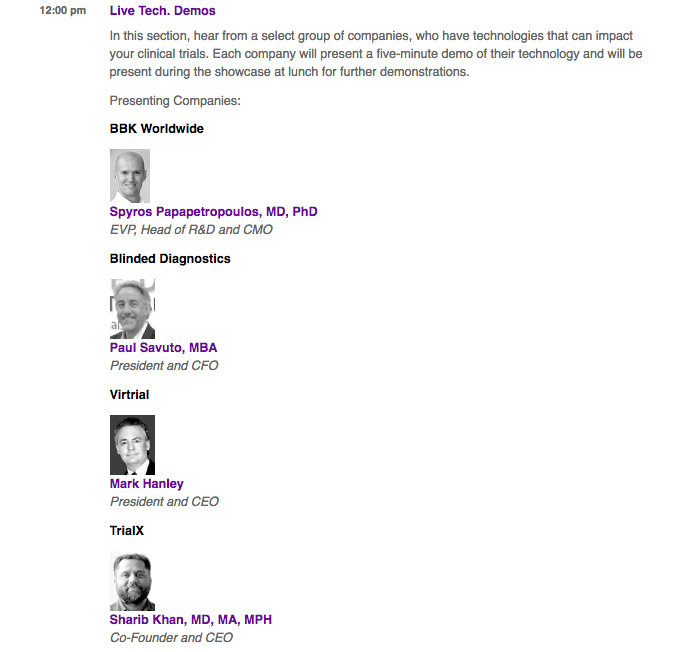 So look forward to see you at the live tech demo session at 12:00 PM on September 24, 2018! 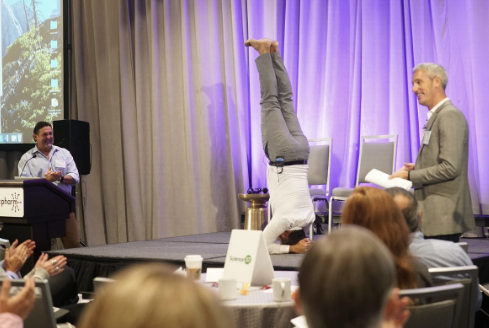 If you would like to learn more about Appbakery or schedule a meeting with Dr Khan during the conference, please let us know at info@trialx.com.